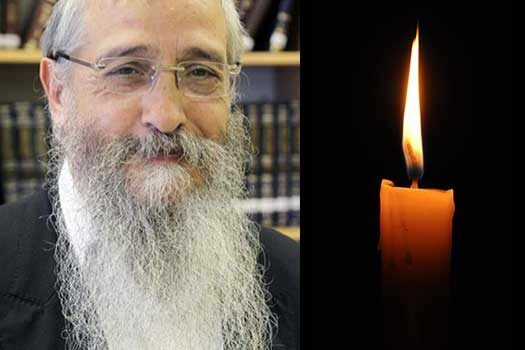 With sadness we inform you of the tragic passing of Rabbi Mendel Deutsch OBM, a Lubavitcher Rabbi and activist from Jerusalem, Israel, who was savagely beaten while in the Ukrainian city of Zhitomir earlier this year. He never recovered from those injuries and over Shabbos came the tragic news of his passing. He was 64 years old. The attack occurred on October 7th 2016 – the 5th of Tishrei 5777 near a train station in the Ukrainian city of Zhithomir. The group attacked the then 63-year-old rabbi and beat him mercilessly, then took a large amount of cash along with his cellphone and left him for dead. 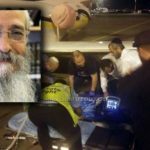 He was later transported to Israel by Air Ambulance and was hospitalized in the Shiba – Tel Hashomer hospital and remained in a coma since. His family remained steadfast in their belief that he would awaken from his coma and over Shabbos came the tragic news of his untimely passing. He is survived by his wife Shterna Sarah (nee Kalmanson – Paris) and their children, Mrs. Menucha Friedland (Aubervilliers, France), Rabbi Shneur Zalman Deitsch (Minsk, Belarus), Mrs. Chana Alpenbeim (Migdal Haemek, Israel), Rabbi Yisrael Deitsch (Jerusalem, Israel), Mrs. Yehudis Fradkin (Migdal Haemek, Israel), R’ Yosef Eliyahu Deitsch (Krayot, Israel), R’ Levi Yitzchok Deitsch (Jerusalem, Israel), R’ Shmuel Deitsch (Kiriyat Gat, Israel), Shlomo Yehuda, Dovber and Yocheved. He is also survived by his brothers, Hamashpia Rabbi Chaim Sholom Deitsch, Rabbi Shneur Zalman Deitsch and Rabbi Moshe Deitsch. Today, Chof Nissan, also marks the date of the untimely passing of his brother, Rabbi Shlomo Yehuda Deitsch OBM. The Levaya wil take place tomorrow, Ever Shvii Shel Pesach in Jerusalem, Israel. The Levaya will begin at Shamgar at 2:30pm and Kevurah will take place on Har Hazaisim. terrible news. absolutely senseless crime. 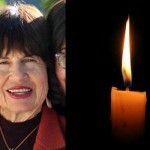 May Hashem comfort his family. Baruch dayan emes. Is there an email address to contact the family? May the family be comforted and may the thugs be punished!